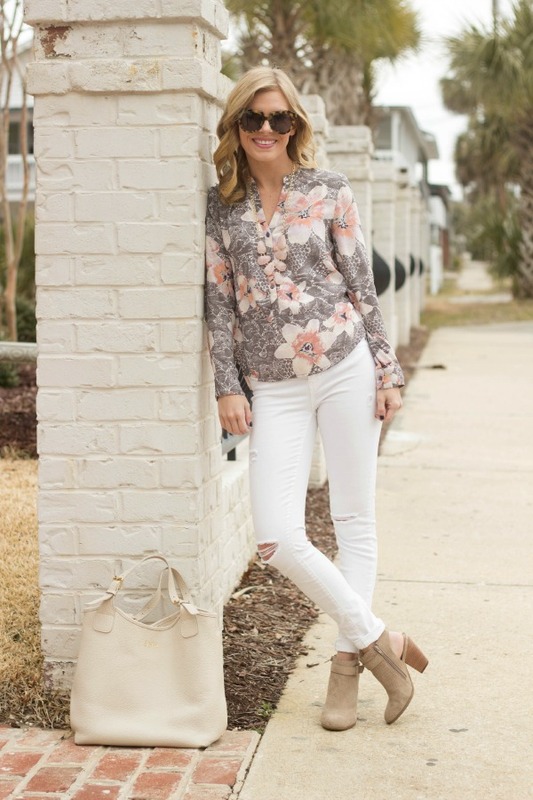 With spring (hopefully) right around the corner, I have been picking out some of my favorite basics, like this pair of white denim, and some springy items, like this top, to add to my wardrobe! My white jeans usually get most of their wear in the spring months, because once summer rolls around it is too hot to even think of wearing jeans! 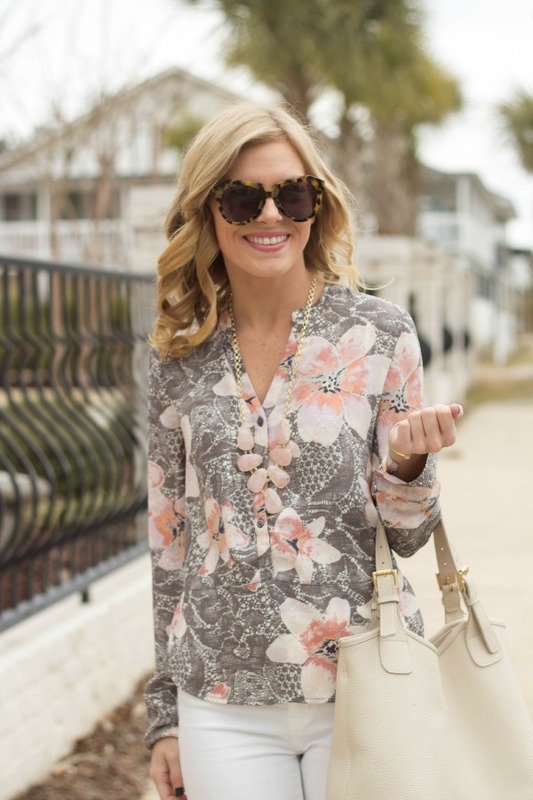 I decided to break them out a little early last weekend while at the beach and pair them with this springy top and booties. 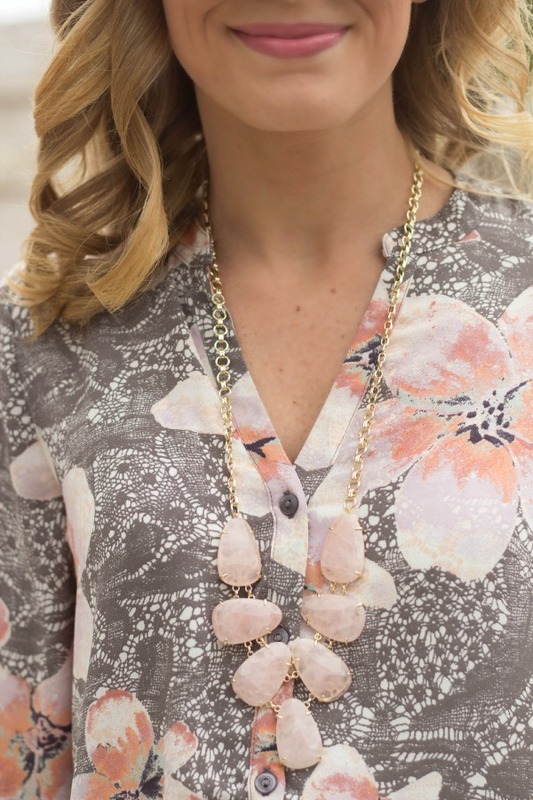 I think it's safe to say all of these pieces will be in heavy rotation this spring!